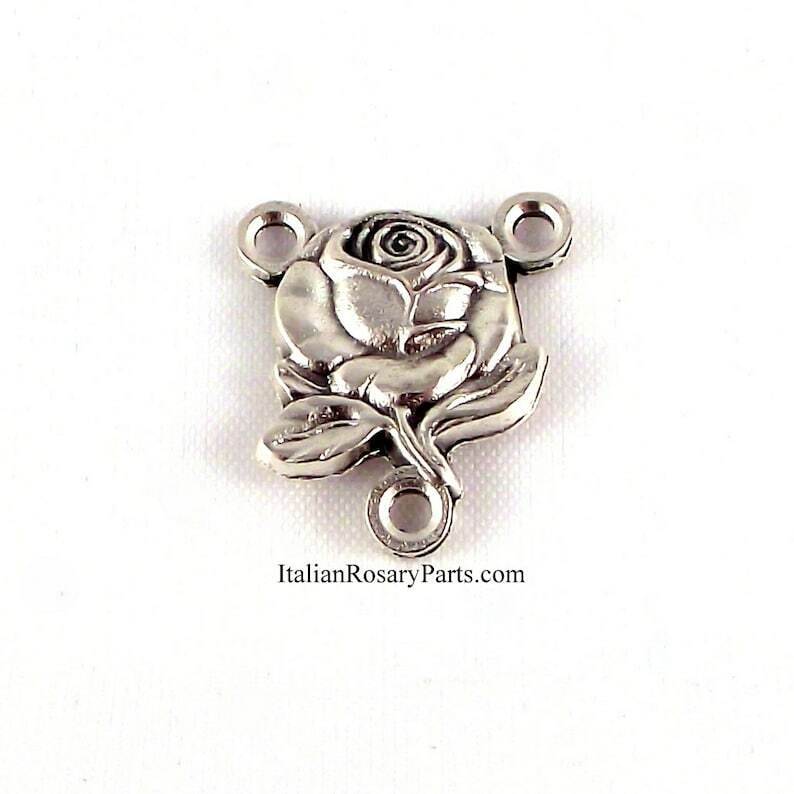 A rose with the Miraculous Medal on the back. Measures 3/4" high by 1/2" wide. Silver oxidized metal. Made in Italy.